Mothers are the best - say thank you with this shimmering charm from the Thomas Sabo collection. This love heart is crafted in 925 Sterling Silver and is embellished with glittering cubic zirconia. The words 'Best Mum' is expertly crafted at the centre. 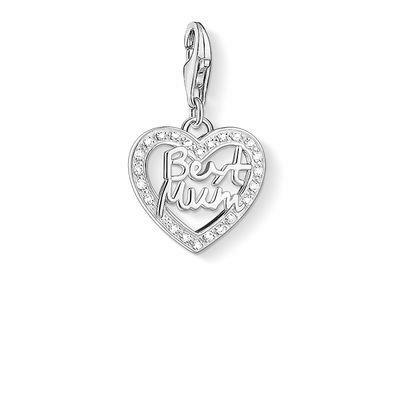 For the perfect gift, team this charm with a Thomas Sabo belcher charm bracelet and start her collection that she can add to for years to come.